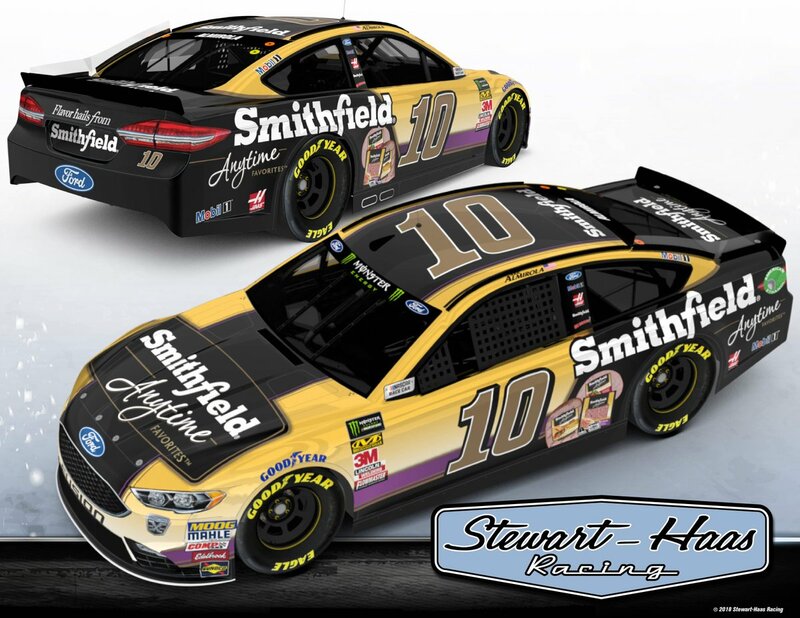 Aric Almirola #10 Smithfield Anytime Ford Fusion-Another instance of two different design and color schemes being used on the same car. Either the yellow to blue motif would work, or the black would work by themselves. Together, it’s and ugly mess, that will get a C-. 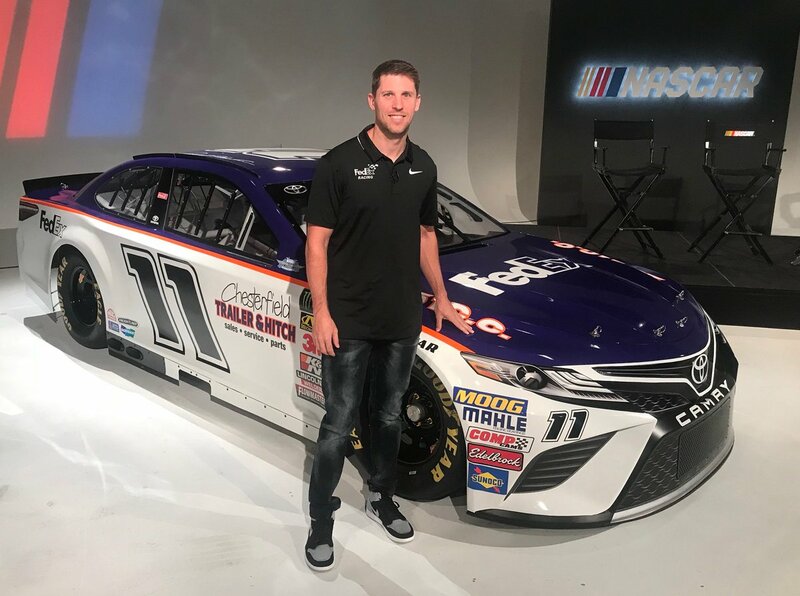 Denny Hamlin #11 FedEx Throwback Toyota Camry-This is a very well executed throwback, and the scheme looks great. I also like the fact that Denny went with a scheme he raced as a kid, which hasn’t really been done yet. 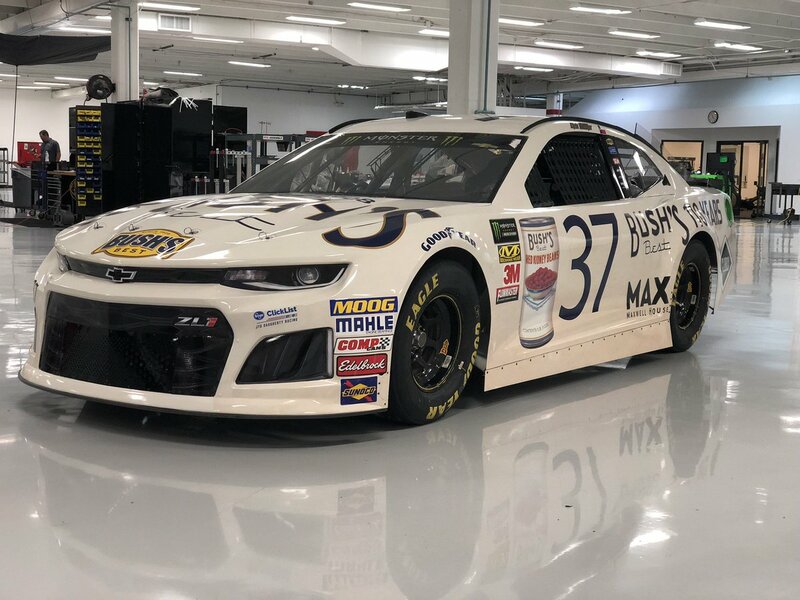 All in all, this gets an A.
Kyle Busch #18 M&M’s White Chocolate Toyota Camry-The white looks really good here, the overall design is great as well, so this gets an A.
Chris Buescher #37 Bush’s Best Beans Throwback Chevy Camaro-While I don’t always like white as a base color for race cars, but this is well-executed, and I like the door numbers and the lettering here. this looks great, and I give it an A.
Reed Sorenson #51 Trading View Chevy Camaro-Good color scheme, and I do like the curve design. However, the side design is over done, and it’s visually distracting. It’s just a meh scheme, that earns a C-. 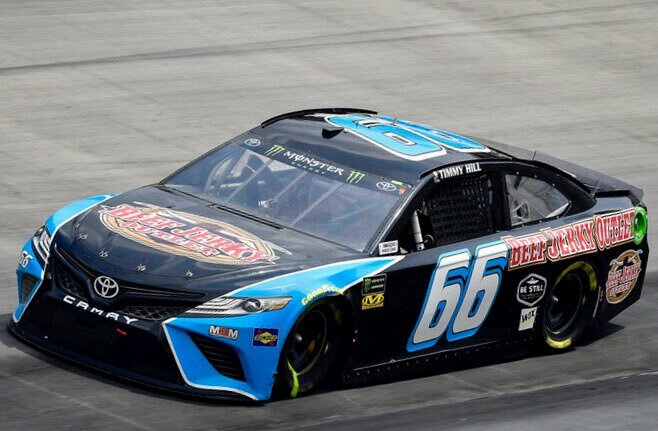 Timmy Hill #66 Beef Jerkey Outlet Toyota Camry-New sponsor for 2018, same scheme as Crash Claims, same A- grade. Corey LaJoie #72 ARK Custom Blockchain Solutions Chevy Camaro-It’s an ugly, over designed mess of a scheme. I do like the red and black color scheme, but that’s as far as I’ll go. All things considered, this gets a D-. Martin Truex Jr. #78 Bass Pro Shops/Ducks Unlimited Toyota Camry-This isn’t good. The template that Furniture Row uses isn’t good to begin with, and the color scheme just makes this worse. It’s certainly not the worst I’ve seen, so I’ll give it a C-.